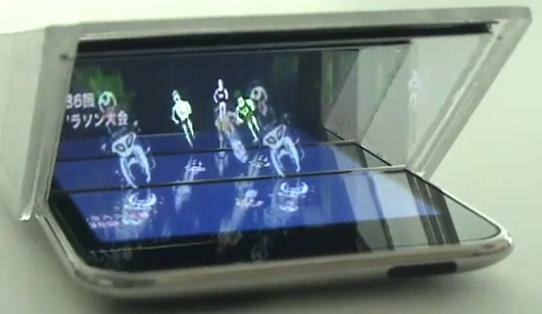 The i3DG can convert 2D display into a layered 3D view, thanks to the very old technique of placing a halfsilvered mirror at a 45-degree angle in front of an image. In the future i3DG can support a wide range of different applications, ranging from simple 3D videos and animations to accelerometerbased games. In the movie after the break you can see how the i3DG works, its looks pretty awesome if you ask me. For more information check out v2.nl.